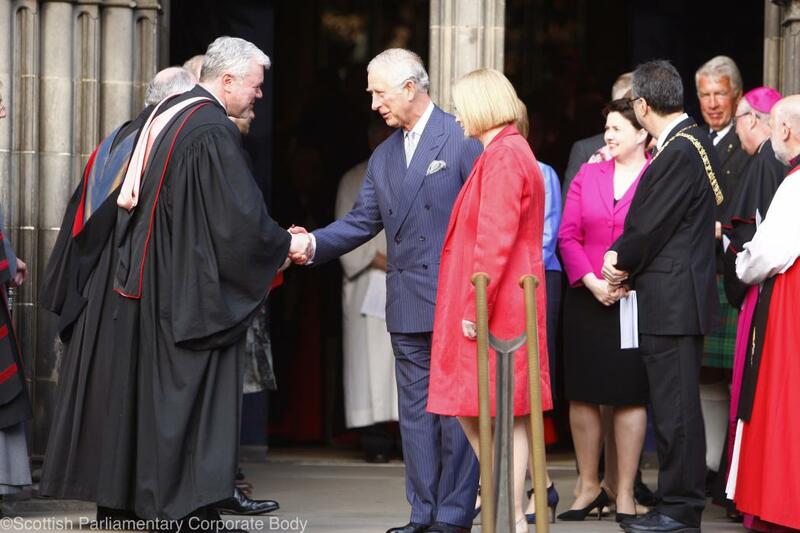 The Prince of Wales, known as The Duke of Rothesay when in Scotland, attended the Kirking of the Scottish Parliament at St Giles’ Cathedral in Edinburgh tonight. His Royal Highness joined Scotland's newly elected MSPs at a special ceremony before the first sitting of the new Scottish Parliament, which was followed by a Reception for Parliamentary party leaders, members of Parliament and members of Parliamentary staff. The Kirking of the Parliament was held to mark the start of Holyrood's fifth session. Other attendees at the ceremony included representatives from organisations across Scotland, the diplomatic corps and faith groups. Today marks the 60th anniversary of His Royal Highness being created The Prince of Wales.